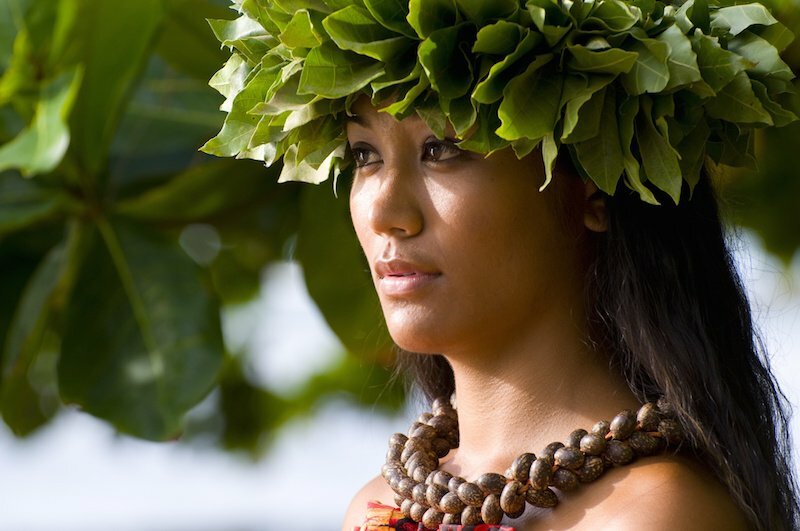 Attending a luau is a great cultural experience that is unique to the Hawaiian Islands. A luau is a celebration and entails entertainment (live music, hula dancing, beverages) along with performances such as traditional hula dancing and some luaus offer Polynesian fire dancing. Luau typically have a great variety of food options as well which offer authentically local dishes such as poi, lomi lomi, kalua pig as well as other options for guests to enjoy. Many guests enjoy the Polynesian style luau which incorporates fire dancing while other guests enjoy a traditional luau setting. Contact us today to learn more about the different types of luau’s and which one will be the best option for you and your ‘ohana (family). Tip: Luau’s are held in the evening time before the sunset and will typically end when it is dark. Ensure to enjoy this experience and we suggest to bring sunglasses and a light cover up to use after sunset. 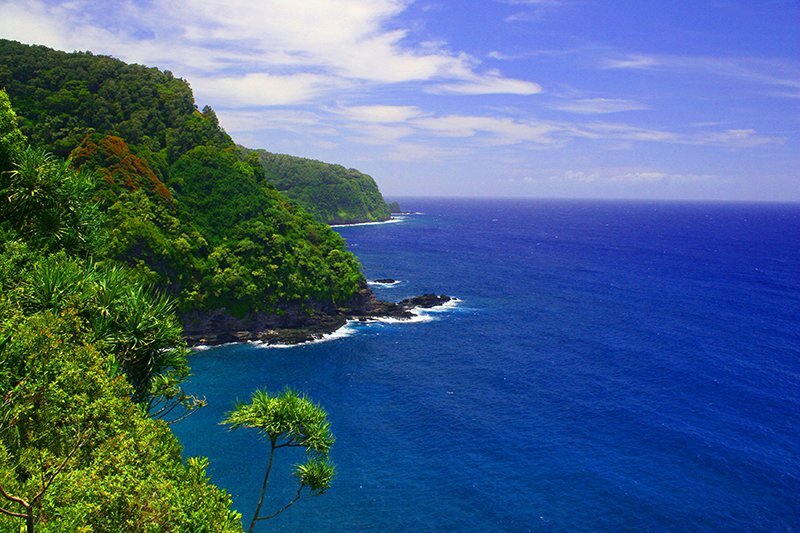 Located along Maui’s northern shore, this scenic journey will take guests to the small fishing town of Hana, Maui. Guests will experience a full day of exciting attractions such as road side waterfalls and amazing scenic overlooks. Guests will also enjoy the comfort of a van or minibus tour while the driver navigates the Road to Hana. Most tour companies will offer the option of pickup service or offer nearby pick up service. If you are looking for a more exclusive or private tour, we can certainly assist in making arrangements for this as well. Contact us today to learn more about the Road to Hana tours. Tip: The Road to Hana is typically an all day trip and we suggest that guest plan being gone for most of the day. While enjoying this scenic journey as the road its self has nearly 600 hair-pin turns and 50 one lane bridges. Our custom Road to Hana guide will certainly help ensure you see some of the key items along the way. This adventurous tour is a one-of-a-kind activity that certainly is unique to Hawai’i. Guests will start their journey early in the morning (between 2am-3am!) and the tour will make their way to the summit of Haleakala to view the sunrise from 10,0000ft elevation. 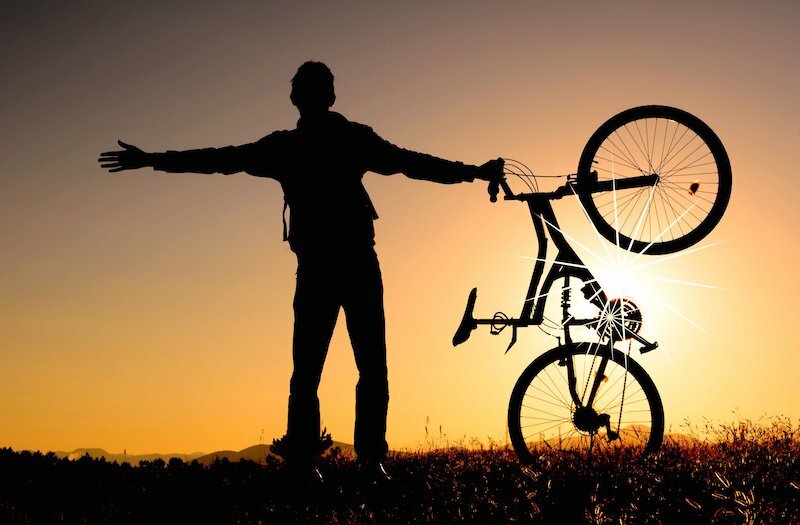 Once the sun rises, guests will begin the second part of their journey they will descend a few thousand feet elevation where guests will use custom cruiser bicycles and coast nearly 25 miles down the slopes of the Haleakala. Most of the tour is downhill and very little peddling is required from guests. This tour does have height and weight requirements and we would be happy to assist you in checking availability for this tour. Contact us today to book this fun, exciting, and unique activity. Tip: The summit and early parts of this tour are very chilly (the Haleakala Summit is typically about 30 degrees cooler than at the beach) and it is suggested to plan on dressing in warm layers. 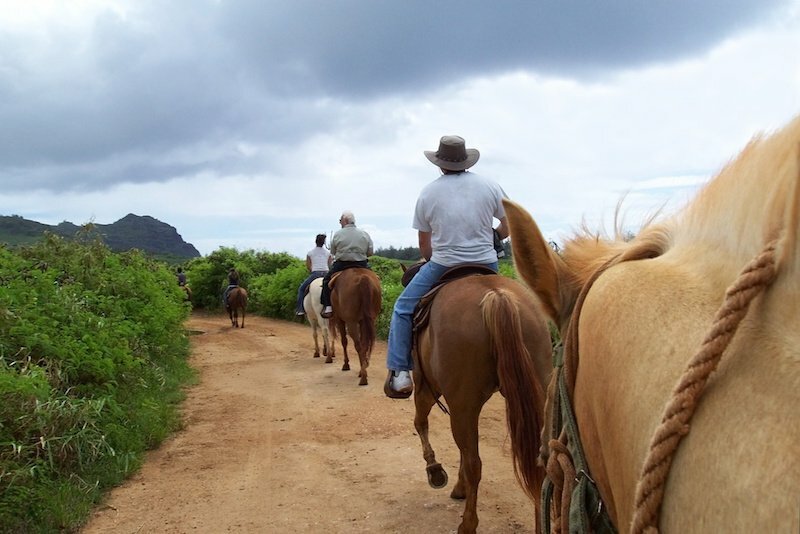 From scenic trails along the slopes of Haleakala for sunset or sunrise to picnic BBQ lunches, Maui has several opportunities to experience Maui by horseback. Guests are not required to have previous experience to enjoy this tour but will need to meet the requirements as requested by the vendor. We are happy to assist in finding the right tour that meets your schedule and preferences. For those experienced riders, there are options to ensure you are riding with other guests with a similar skill set. Contact us today to learn more and to find the right location and tour option for you. Tip: Typically it is suggested that guest wear long pants for this experience. Both morning and evening tours are spectacular and we will be happy to assist in checking availability. Maui offers a variety of courses around the island. From championship rated courses to local courses, we are certain to be able to assist in confirming the right course for you. 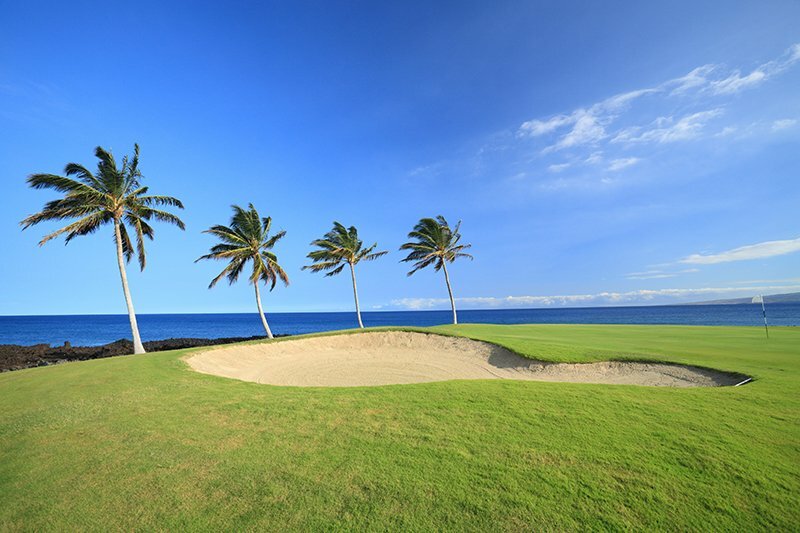 Many courses will offer scenic views from some of the greens while others are nestled along the slopes of Haleakala. Golf Guide may further help guests to find the right course for them. Many courses on Maui offer 18 holes during the day and then twilight rates as the day progresses. Courses also have seasonal rates that may not be reflected in the guide. Contact us today to learn more about the different courses that are offered on Maui, regardless of your skill level. 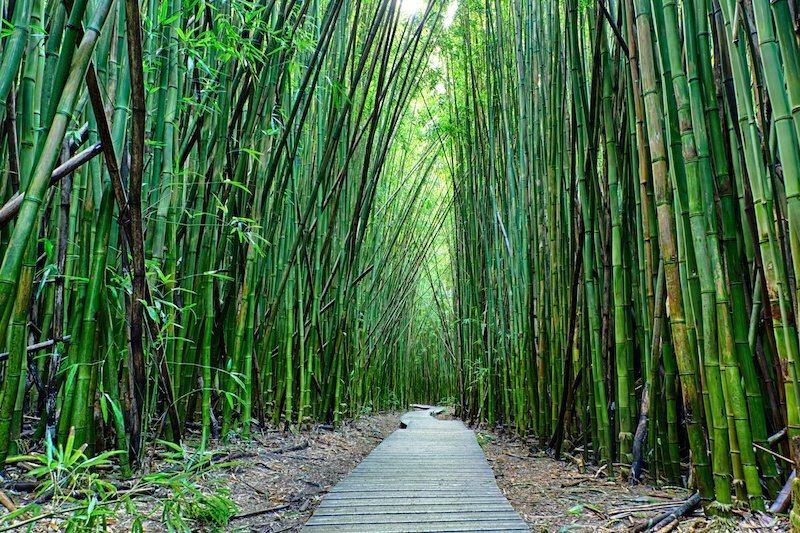 Maui offers a variety of landscapes to hike in including bamboo forests, pristine waterfall trails, and coastal pools. This exciting tour is highly recommended for guests who enjoy the adventure and thrill of being outdoors in nature. There are several locations in which guided hiking can be offered, including the remote area of Hana, West Maui, and portions of East Maui. Tours typically can range from half day trips (4 hours) to full day trips (8 hours). For those guests looking for the ultimate hiking trip there are options for you and a guide to go out and explore the island to the fullest. Contact us today to learn more about hiking on Maui with a guide. Tip: Prior to arriving on Maui, ensure to pack a comfortable pair of walking shoes (ones you do not mind getting dirty/wet) along with appropriate hiking attire. There are a variety of rated hikes for guests to select from. In general, guests should be able to navigate over/around various objects during the hike. 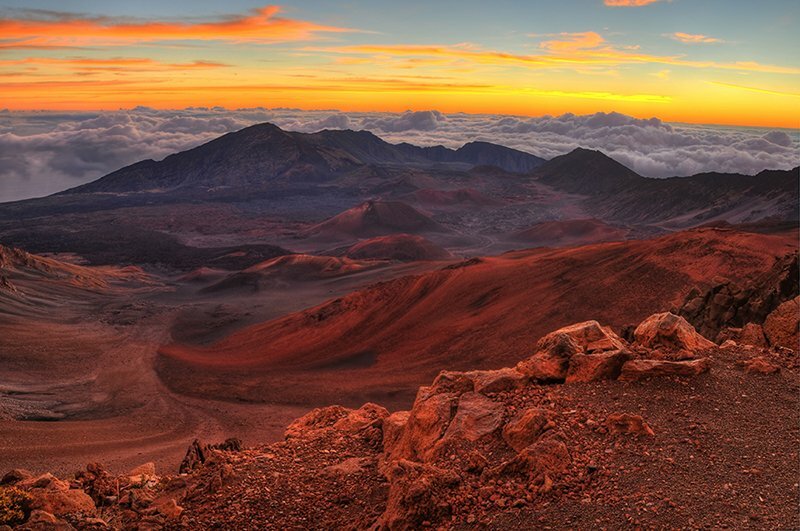 The summit of this Maui attraction soars high above the clouds at 10,000ft elevation. Known as the “house of the rising sun”, Haleakala Nation Park is a very popular attraction for many visitor and locals. Many guests enjoy the picturesque sunrise early in the morning as well as the breathtaking sunsets in the evening. Guest may experience guided tours to experience sunrise and sunset in the comfort of a minibus or other SUV like vehicles. Tours are commonly taken as the convenience of an experienced driver is appreciated by many guests making their way to the summit in the early morning hours. Tours will include pick up and drop off service in addition to a tasty breakfast. Would you like to learn more about this amazing experience? Contact us today, we are happy to help you organize your trip. Tip: In the early morning hours, temperatures do commonly range about 30 degrees cooler than the beach temperatures. The weather at this elevation may change very quick – though watching the sunset is also impressive, the late afternoon clouds at times do post a challenge to view the sunset at times due to poor visibility. 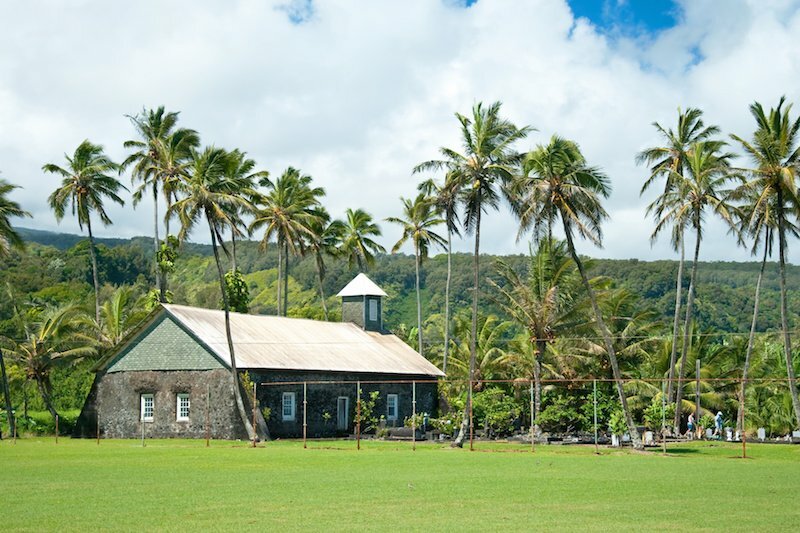 Maui is a very special place and there are many opportunities for guests to experience the rich history and culture of the island beyond luaus and other tours that provide basic information about the culture and history. From olelo (Hawaiian Language), mo’olelo (story telling), to Hula, Lei Making, Ukulele, to guided cultural tours, Maui offers many experiences for guests to further learn about the islands. Tip: For guests looking to book this type of experience, we would like to recommend booking these in advance. Lessons and tours can commonly be customized as requested by guests.